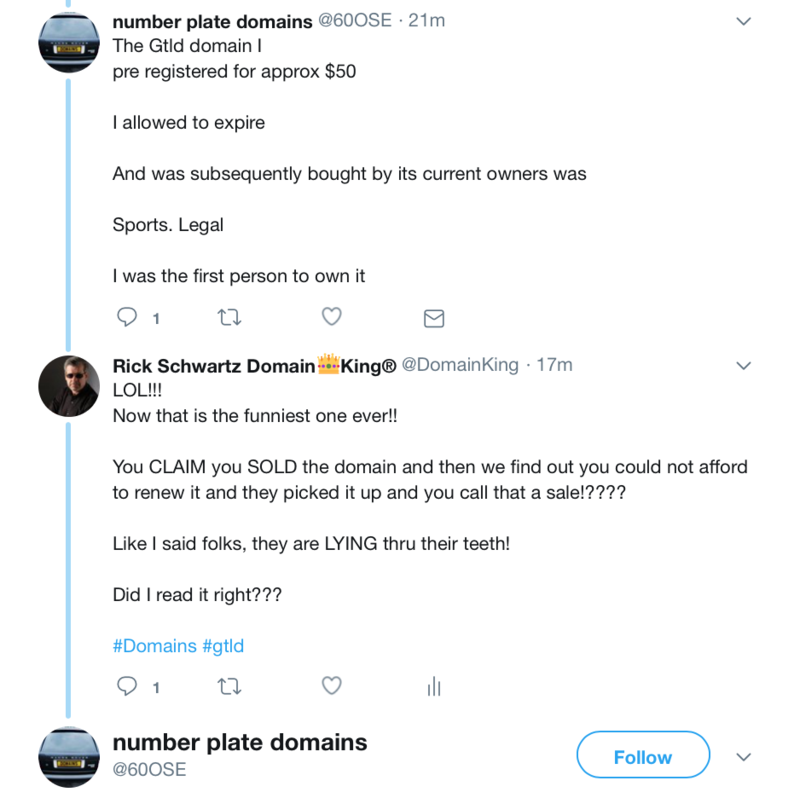 09 | April | 2019 | RicksBlog.com Home of "The Domain King®"
Today I caught a domainer that I believe outright lied, but at a minimum mislead. 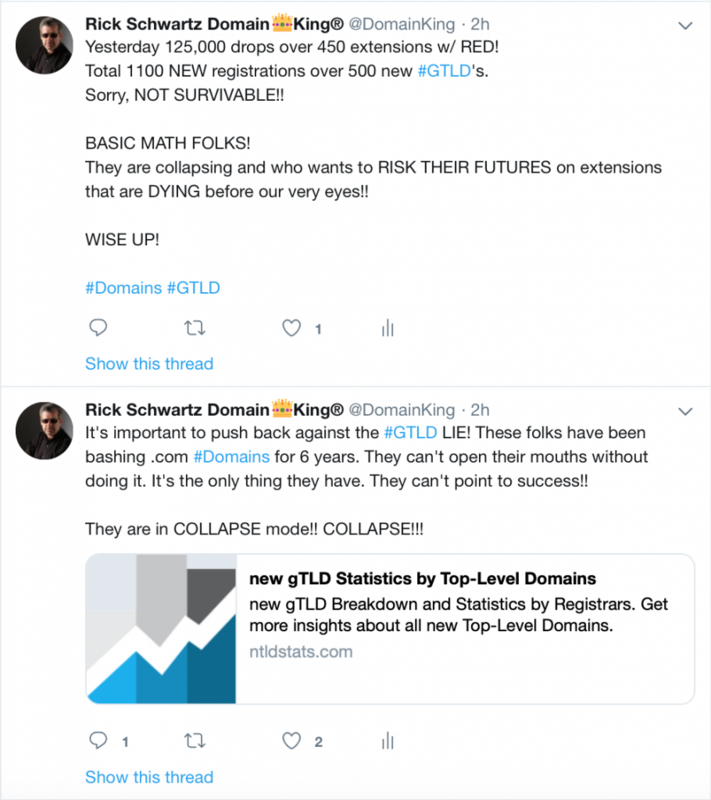 All in an effort to pump up GTLD's which is in collapse mode. This happens ALL-DAY long!! I am sick of it! 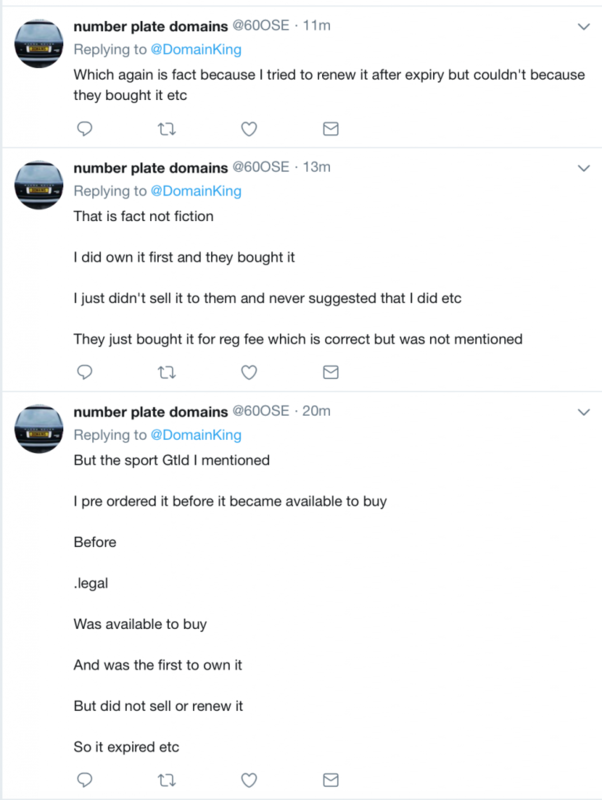 So I am going to post the Twitter thread and you can see for yourself and decide. Did he lie? 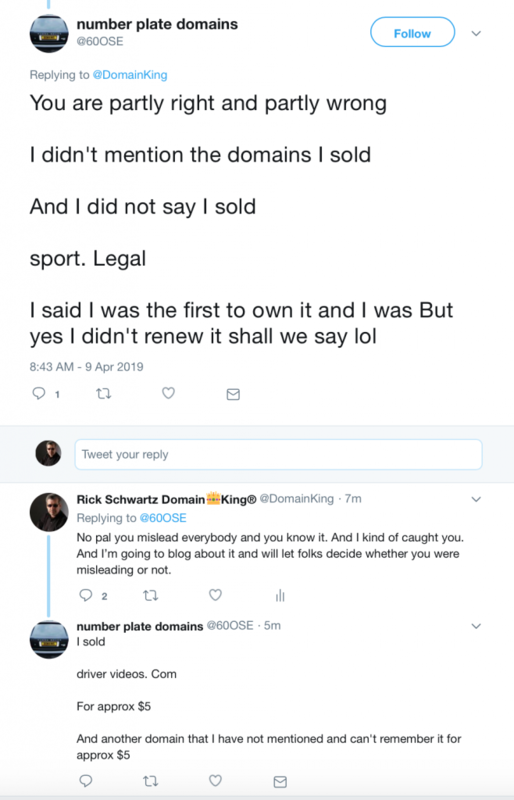 Did he mislead? Or is that perfectly ok with you? Just make sure you mulitply it by all the others doing the same CRAP! That influences others under false pretenses. PUMP and DUMP!! It started with this quote that I challenged. 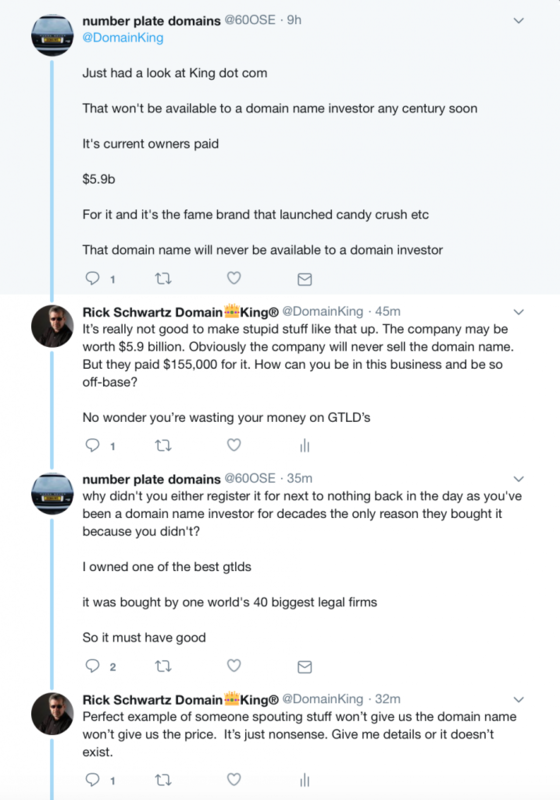 "I owned one of the best gtlds it was bought by one world's 40 biggest legal firms So it must have good"
"Perfect Example of someone spouting stuff won't give us the domain name won't give us the price. It's just nonsense! 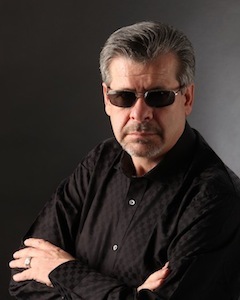 Give us the details or it doesn't exist." So folks, stop swallowing their .horsesh*t! They are lying thru their teeth. They are in collapse mode. Out of 500 extensions, only a handful has daily gains and HUNDREDS have daily losses.